Now is the ideal time to be active. Get outdoors and explore the public footpaths and rights of way around the Village of Hook. 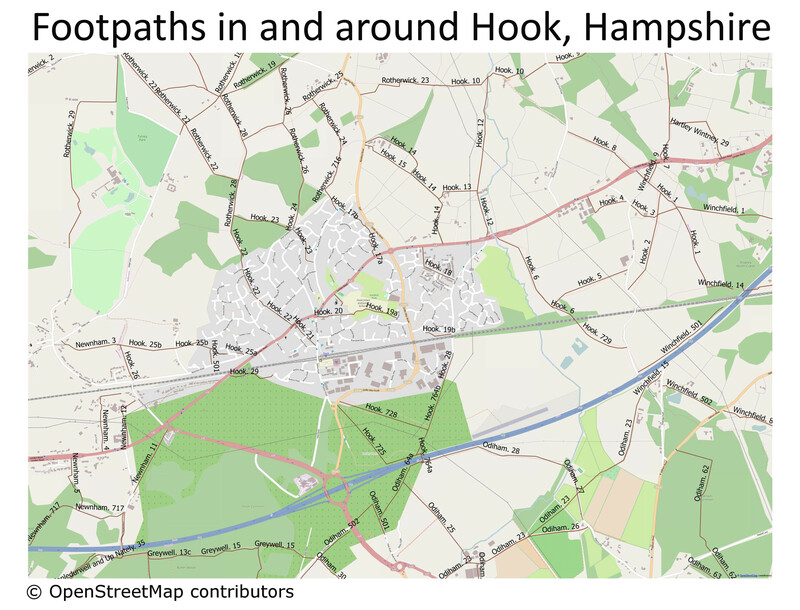 To help you get started we have produced a map showing public footpaths which can be downloaded here (file size 5.24 MB) as a ready to print PDF. Walking is a great way to boost fitness and well being. Hook is blessed with being surrounded by picturesque Hampshire Countryside. Why not walk to Newnham and explore the village green and the Historic St Nicholas Church? Walk to Rotherick or to Winchfield and catch the train back. Start planning your next walking adventure now.